Before your operation you will be seen by your surgeon. Please ask them any questions and tell them if you have any concerns about your operation. You will need to sign a consent form. Most people don't need any further tests before the operation. Please bring in any medicines you are taking, including any over-the-counter ones you have bought in a supermarket, pharmacy or online. 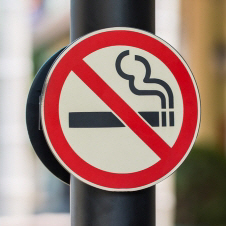 Stop smoking as early as possible. It makes the operation safer and will help you to heal better. You can eat and drink as normal before surgery for carpal tunnel syndrome. Keep your hand dry when showering by putting it in a plastic bag and taping the top of the bag securely to your skin. You will get specific advice about your dressing, bandaging, stitches and so on after your operation. Your discharge letter will include instructions about removing your bandage and your follow-up appointment. Take two paracetamol (Panadol) every four to six hours. This is all most people need. If you need stronger pain relief, take one to two codeine phosphate 30 mg tablets as well. You can take codeine at the same time as you take paracetamol. But don't take more than eight paracetamol and eight codeine phosphate in any 24-hour period. If you are a day patient you will be given a small supply of paracetamol and codeine phosphate when you go home. If you are an in-patient you will be given a prescription when you go home. Your surgeon will check how well your hand is moving, and show you some exercises. They may refer you to a hand therapist (or physiotherapist) for more exercises, and to manage your scar. It is important to gently open and close your fingers to help reduce swelling and stiffness. Start this as soon as you have had your surgery. You can use your hand for light tasks such as eating, dressing, or using a computer straight away. It won't do any harm. If you are having day surgery you need to arrange for someone to drive you home. You will also need to have someone at home with you for the first 24 hours after surgery. You may need some extra help after the operation. For example, you won't be able to put your full weight on your hand, and so won't be able to use a walking stick or walker with that hand for around two weeks. If you've had operations on both hands you might struggle a bit with caring for yourself, so it's important to have someone around to care for you. Some activities, such as opening jars or gripping objects, might be difficult to manage for two to three days. 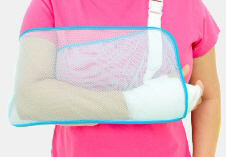 To reduce swelling and pain it is important to keep your hand raised (elevated) in the sling you are given, for two to five days. If you have had surgery on both hands you won't be given slings, but make sure you keep your hands raised. Try to keep the affected hand or hands higher than your heart. You will need to avoid firm grasping or lifting for two to three weeks. You may be off work for two to four weeks, depending on your job. Some people can go back to work after one week, while others can't do heavier work for eight weeks or more. Your surgeon will discuss this with you. Pain will limit what you can do for around six weeks. have any concerns about your surgery. if your surgery was done by the plastic surgery team, call to speak to a registered nurse on (03) 364‑0471. Written by HealthInfo clinical advisers. Endorsed by clinical directors, Plastic Surgery and Orthopaedic Surgery, Canterbury DHB. Last reviewed March 2017. HealthPathways – Carpal tunnel syndrome, retrieved June 2014. Surgical Services, Burwood Hospital. Carpal tunnel release: patient information. Authorised by Nurse Managers, Surgical Services. June 2010. Ref: 1436. Royal Australasian College of Surgeons. Hand and wrist surgery, a guide for patients. Second edition.